Shadan Institute of Medical Sciences, Teaching Hospital & Research Centre is established in 2005 with an annual intake of 150 Students. The College has got recognition in 2010 and subsequently it is upgraded to a Post Graduate Institute offering Degree Programs in Anatomy, Physiology, Biochemistry, Pharmacology, Microbiology, Gen. Medicine, Gen. Surgery, Dermatology, Pulmonology, Pediatrics, Orthopedics, Ophthalmology, ENT, Gynaecology, Anesthesia, Radiology and also Diploma Programs in Gynaecology and Radiology. The Medical College is situated at Himayatsagar Road, 4 Kms from LangarHouse in a Unitary Campus with attached Teaching Hospital, Teaching Staff Quarters, Separate Hostels for Boys and Girls, Non-Teaching Staff Quarters, Nursing Staff Quarters and Residents and Interns Quarters. The Medical College is well connected by road transport from every nook and corner of the city. It is 16 Kms from Airport and 16 Kms from Hyderabad Railway Station. Shadan Hospital is spread over 26 Acres of land consist of 800 beds, administrative block, library attached with each department, 24 hours Accident and Emergency department and Pharmacy, departments of all broad specialties and Canteen facility. This Hospital is catering to the needs of near by villages like Bandlaguda Kismathpur, Peerancheru, Rajendra Nagar, Moinabad, Golconda Fort, Ibrahim Bagh, Narsingi, and Gandipet etc. Hospital comes under the jurisdiction of R.H.C Narsingi R.R. dist. on the way to P.H.C Moinabad. Shadan Hospital has its own magnificent building to provide hostel accommodation for medical students Resident Doctors, Nurses and emergency staff. The aim of management is to strive hard for the medical excellence with a sound infrastructure, this hospital is well equipped with modern facilities for diagnosis and treatment. 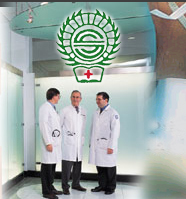 Patients attending this hospital are provided with free consultation, investigations and medicines. Inpatient facility including of I.C.U, I.C.C.U, N.I.C.U, P.I.C.U, Labour Room, Post Operative Care and all types of surgeries which include caesarians are provided free of cost. A magnificent 4 storied building has been built to accommodate the facilities. There are (18) Out patients Department including casualty, General Medicine, Cardiology, Gynecology, Ophthalmology, Orthopedics, psychiatrics, Physiotherapy, radiology, Laboratory Blood Bank etc. There are 10 Operation Theatres and 2 Labour Rooms. Thus adequate accommodation is available for all specialties. There are 19 wards for Male , Female & Pediatrics patients. OPD: Runs daily from 9.00 am to 2.00 Pm (Except Sundays and National Holidays). Registration and Consultation is FREE. IPD: It functions 24X7 throughout the year and the patients are admitted based on the advice of the Doctors. Investigations: In-house Clinical and Radiological Investigations are carried between 9.00 am to 4.00 pm. The emergency labs function round the clock. Casualty & Trauma: It functions round the clock having 30 Beds. Facility of wheel chairs and stretchers are available. Ambulance services is available round the clock. Copyright © SHADAN Institute of Medical Sciences. All rights reserved.